The old Franconia emperor and bishop city of Bamberg is located on the banks of the Regnitz. The city first appears in documents in 902. The distinctive cityscape is marked by a thousand years of architecture. 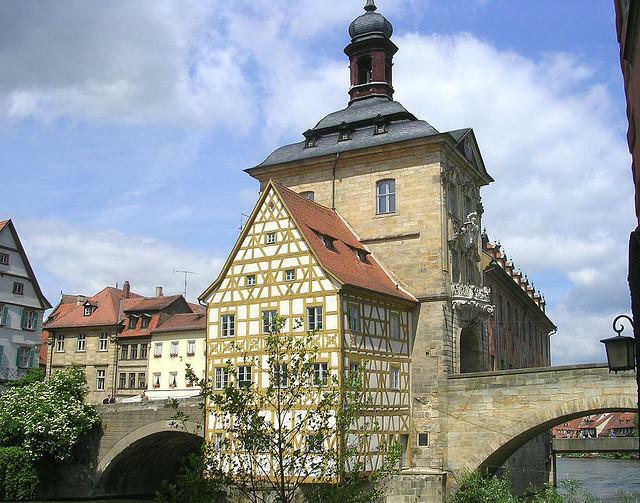 Like ancient Rome, Bamberg was built on seven hills. Because of its excellent preservation, the historic Old Town was placed on the UNESCO World Heritage Site list in 1993. The center of Bamberg is the 13th century Bamberg Cathedral located in the Old City, whose four towers accent the cityscape. Masterpieces of medieval sculpture grace the interior of the cathedral, like the world-famous Bamberg Rider. Romantic fishermen’s houses are the dominant sights in ‘Little Venice’. The State Gallery has found a home in the magnificently furnished New Residence. The Historical Museum can be visited in the Old Court. A stroll to the former Benedictine monastery, St. Michael’s Abbey, or to the idyllic Domgrund park is recommended. 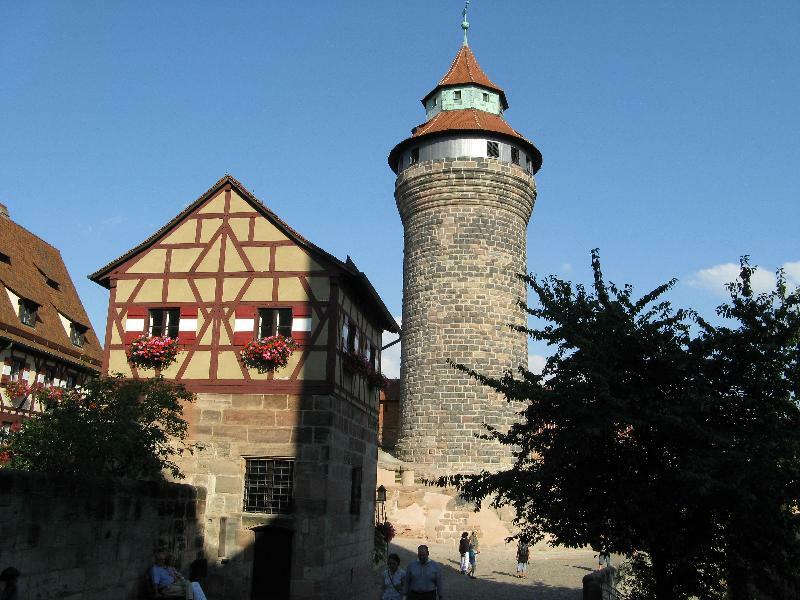 On the highest of the seven hills above Bamberg stands the Altenburg, a castle regarded as one of the city’s symbols. Villa Concordia, built in the 18th century, gives artists a chance to present their artworks. Geyerswörth Palace in the Old City was built in the 16th century as a moated palace and today serves as an office building, which in no way detracts from its charm. Among the most important buildings in the city center is the Old City Hall, which has enchanted visitors with its Rococo style since the 18th century and houses a porcelain exhibit. The Free Hanseatic City of Bremen is today the home of over half a million people and is thereby the tenth largest city in Germany. The first settlements on the Weser were already recorded 2000 years ago. The name ‘Brema’ stems from the 9th century. At this time Bremen was raised by Charlemagne to a bishopric. The city joined the Hanseatic League in the mid-14th century. The oldest city quarter of Bremen is today situated between the Weser and Cathedral Hill. The marketplace forms the center of Bremen. In front of City Hall, the famous statue of Roland proclaims justice and city liberty. 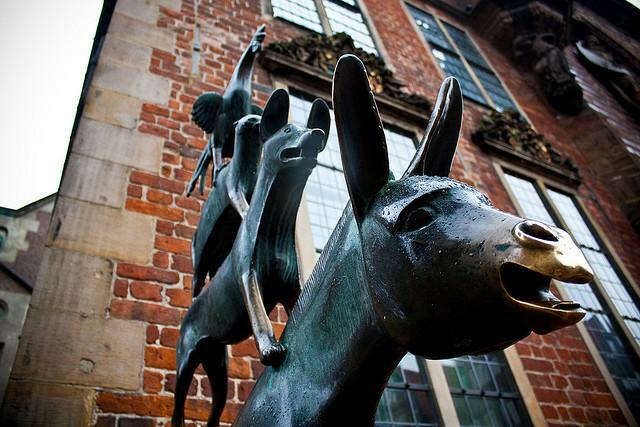 On the northwestern side of the building stands another symbol of Bremen, the bronze sculpture of “The Bremen Town Musicians.” The Böttgergasse offers the setting of an old handworker alley. High gabled houses, restaurants and businesses endow this corner of Bremen with its own special charm. In the Kunsthalle, vacationers can see chiefly works by Dutch, Italian and German artists. The Schnoor is a so called “Gängeviertel”, a medieval quarter in which one finds many narrow alleys and small, densely packed houses. The Universum Bremen, an interactive science center, guides its visitors through various domains of science. Anyone who wants to recover from the hustle and bustle of the city should visit the Bremen Public Park, the Rhododendron Park or the Wallanlagen, a park where a line of fortifications once protected the city. Cologne developed from a Roman settlement and was already an important Hanseatic city in the early middle ages. Today the old cathedral city is widely known as an exposition center and art capital. The greatest number of visitors doubtlessly converges on Cologne at carnival time: when the so-called “fifth season” begins, one meets countless “Jecken” (carnival revelers) in the streets, who love it to take part in the world-famous festival. Not far from the left bank of the Rhine towers Cologne Cathedral, one of the largest and most impressive European cathedrals. The Roman-Germanic Museum displays world-class excavation objects. The Old City disposes of winding streets and idyllic squares. In front of City Hall there is a glass pyramid, which offers a view of a mikvah, a ritual Jewish immersion bath. Lovers of sweets will surely want to visit the Cologne Chocolate Museum. The Botanical Garden and the Rhine Cable Car are other points of attraction. The Museum Ludwig displays art from the 20th and 21st centuries. In the Sculpture Park one can admire numerous sculptures by nationally and internationally known artists. 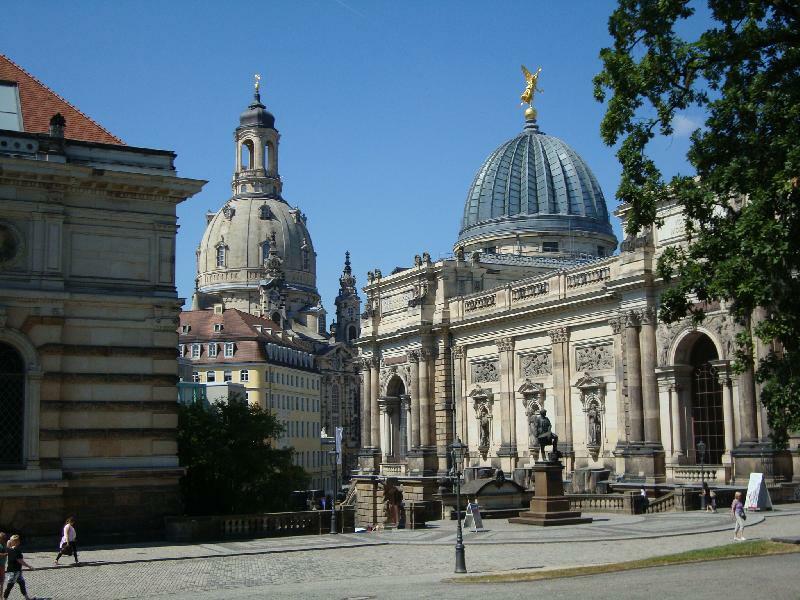 Dresden is world-famous for its magnificent architecture and art collections. The Prince Elector August the Strong left posterity the Zwinger, one of the most beautiful examples of baroque architecture in Germany. Anyone who visits the Elbe metropolis can attend excellent performances in the restored Semper Opera House. While Raphael’s “Sistine Madonna” rivets viewers’ attention in the Old Masters Picture Gallery, visitors to the Green Vault cannot take their eyes off the treasures of the Saxon Prince Elector. Brühl’s Terrace, a historic architectural ensemble, offers a beautiful view of the Elbe and the city. The Church of Our Lady (Frauenkirche) with its impressive dome is Dresden’s symbol. Because Dresden was the Residence city of the Saxon Prince Electors, numerous palaces were built there, such as the Dresden Residence, the Moritzburg Palace and the Pillnitz Palace. A sight of a somewhat different sort is Pfund’s Dairy Store: The dairy, founded in the 19th century, is today located in a 19th century building, and the Guinness Book of Records has called it the world’s most beautiful dairy store. The capital city of North Rhine-Westphalia received its town charter in 1288. The Prince Elector Johann Wilhelm chose Dusseldorf as his Royal Residence and made the city a cultural center. Today the city on the Lower Rhine is known for its elegant shops and quaint taverns. The Dusseldorf Old City is referred to as the “world’s longest bar” because of its numerous pubs and beer halls. Exclusive stores and restaurants line the Königsallee. One can also take long strolls along the River Rhine Promenade. Dusseldorf’s rich museum landscape has much to please visitors. Interesting sightseeing tours are offered by the City Museum, the Seafaring Museum, the Neanderthal Museum, the Film Museum, the Mustard Museum, the Museum of Natural History, various art collections and many other attractions. A major point of interest for vacationers is Benrath Palace in the south of the city, with its spacious palace grounds. Rest and recreation can be enjoyed in the Rhine Park or Unterbach Lake, featuring sport and leisure opportunities. From the Rhine Tower there is an impressive view over the city. On a guided tour of the Esprit Arena, sport fans can look behind the scenes of a multi-functional arena. The capital city of Erfurt is located on the southern edge of the Thüringen Basin and is the largest city of the Free State of Thuringia. Erfurt was first mentioned in 742 and even then was regarded as a large settlement. Already in the 14th century, the oldest German university was founded in Erfurt. Because Martin Luther studied there, the city has acquired the epithet ‘Luther’s City’. Erfurt has one of the best-preserved medieval city centers in Germany. Every year countless tourists visit Erfurt. This is above all because of its unique flair, the wealthy patrician houses, the numerous half-timber buildings and the many fascinating sights it offers. The list of places worth seeing in Erfurt is as long as it is varied. The best-known sight in the state capital and unique in Europe is the Merchants’ Bridge. It is 120 meters long and supports 32 buildings, all of which are occupied. The most central square in the Old Town is the Fischmarkt (fish market). This name was given in the Middle Ages, as markets were often held there. The City Hall was constructed on the western side of the square. 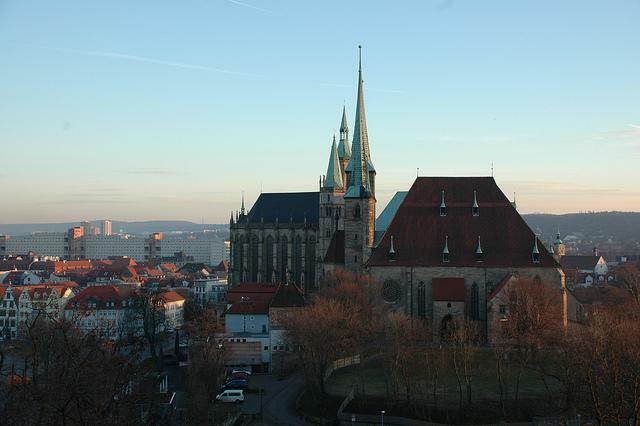 Lovers of historic churches will find much to visit in Erfurt. Worth seeing is the neo-Gothic St. Thomas Church, the Preacher’s Church, where Johann Sebastian Bach already performed, or Erfurt Cathedral, with its famous organ. When founded, Luther’s city was already a religious and cultural center. This circumstance also attracted among others such famous personalities as Adam Ries, Johann Wolfgang von Goethe, Friedrich Schiller, Wilhelm von Humboldt or Napoleon. Modern visitors will also enjoy a stay in the variegated and historically important city of Erfurt. A visit to Flensburg brings us to the northernmost German port town. The town first received town privileges in 1284. Today it is chiefly known as the seat of the Federal Motor Vehicle Office. In the 16th century, Flensburg enjoyed its first heyday under the Danish crown. Proud patrician houses and mercantile courtyards remind us of its former glories. 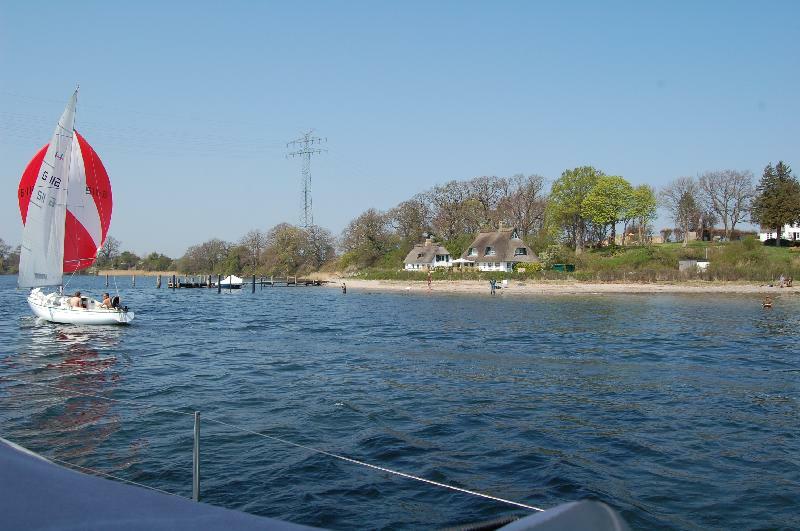 Because of the location of the Flensburg Fjord, relaxed beach days are also possible. The proximity to Denmark invites a visit to our northern neighbor country. The Flensburg Old Town is bordered by historical houses that served in the past as the homes of captains, artisans and merchants. The Holm, Flensburg’s pedestrian zone, offers possibilities for strolling and shopping. The Südermarkt square at the southern end of the pedestrian zone is bordered by gabled houses. The parish church of St. Nicholas soars skyward here. The town’s oldest church is St. John’s Church, built in the 12th century. In the City Museum vacationers can learn about the artistic and cultural history of the region. Northeast of Flensburg, the Renaissance Glücksburg Castle deserves attention. On Museum Hill one can enjoy not only art and culture, but also nature. The Museum Harbor is a magnet for visitors with its restored sailing boats from the 18th and 19th centuries. Also worth a visit are the Flensburg Brewery and the interactive Phänomenta Science Center. Frankfurt was first mentioned in 794 as a royal palatinate. The city underwent rapid economic development and is known to history as the town where Emperors were crowned. Today, one encounters numerous contrasts in “Mainhattan.” Modern skyscrapers stand not far from the lovingly restored Old City. The Römerberg represents the center of the Old Town. A shopping stroll through Frankfurt must include the “Freßgass,” an up-market shopping street. Nostalgia is evoked by the Old Sachsenhausen quarter south of the Main River, which features quaint little pubs where the regional cider, so-called “Appelwoi,” is served. The Römer is Frankfurt’s trademark. The old City Hall consists of eleven formerly separate medieval houses dating from the 14th century. Nearby St. Paul’s Church was the site of the first German National Assembly. Among Frankfurt’s most magnificent buildings is the Old Opera House. 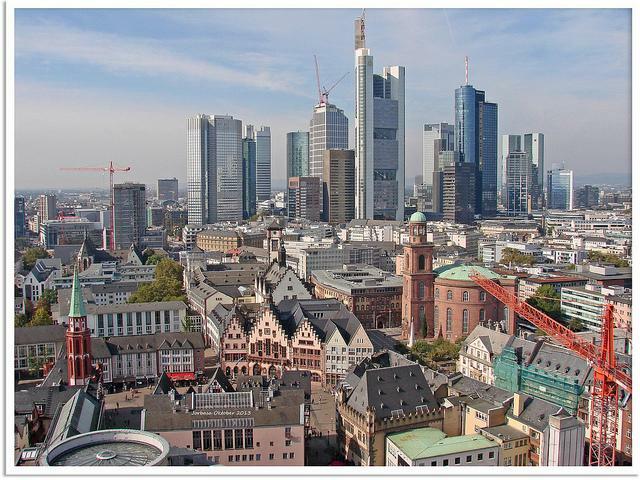 Frankfurt is known above all for its airport and Stock Exchange, which can be visited. A further trademark is the Goethe House, built by the famous poet’s father, which was long the family residence. The skyline of “Mainhattan” is dominated by the Main Tower skyscraper, from which visitors to the city can enjoy a magnificent view of Frankfurt and its surroundings. The Imperial Cathedral documents the importance of the city for Royal Coronations in the Holy Roman Empire. Freiburg is the cultural center of the district of Breisgau and one of Germany’s most beautiful cities. 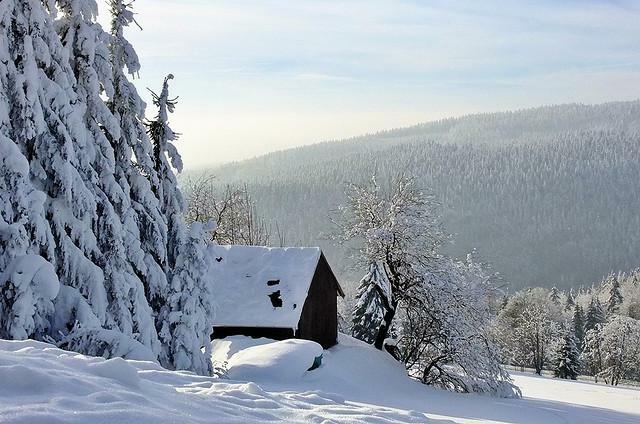 It impresses visitors with its romantic location between a range of hills known as the Kaiserstuhl and the Black Forest. Freiburg received its town charter in the 12th century. The city’s heart is Cathedral Square. Colorful markets provide a background for shopping, and especially striking is the red Kaufhaus (department store) with its crow-stepped gables. Freiburg’s most magnificent building is definitely the red sandstone cathedral (Münster). The Gothic structure is rich in priceless artworks. In the Augustinian monastery the Augustinian Museum opens its doors to welcome visitors. Also worth seeing are the Museum of Natural History and the Museum for New Art. 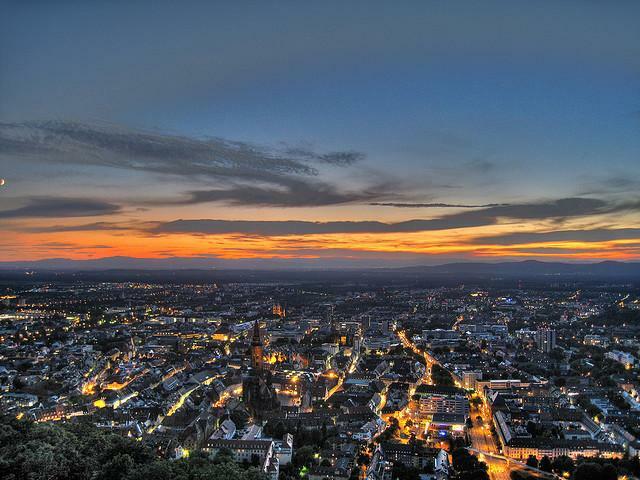 Tourists can enjoy a breathtaking view of Freiburg from the Schlossberg. The Waldkuppe can be reached by cable car. The 19th century Freiburg Wasserschlössle resembles a fairytale castle. Both the Old and the New City Hall are worth seeing. About 30 kilometers from Freiburg is Europapark Rust, which, as an amusement park with numerous roller coasters and other rides, offers fun for the whole family. Greifswald was founded in the 13th century as a settlement of craftsmen and merchants of the Eldena Cloister and in the Middle Ages belonged to the Hanseatic League. The township is located about five kilometers from the Baltic Sea coast between the island of Usedom and the city of Stralsund. The center of Greifswald is the university, founded in the 15th century, with its buildings scattered throughout the entire city. Around Greifswald’s market square stand charming domestic houses from several centuries. St. Mary’s Church was built in the 14th century and displays a richly decorated Renaissance pulpit and historical grave monuments. St. Nicholas Cathedral is among the most noteworthy brick churches in Mecklenburg-Western Pomerania. The third main church in Greifswald is St. Jacob’s, located directly beside Greifswald Cathedral. Ernst Moritz Arndt University was founded more than 500 years ago. The region’s history is documented in the Pomeranian State Museum. Other exhibition areas deal with earth history and famous artworks – thus there are works by Caspar David Friedrich or Vincent van Gogh. The former fishing village of Wieck radiates maritime charm. 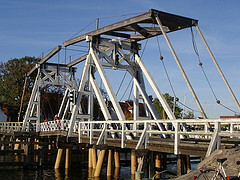 Famous as a symbol of Wieck is a wooden drawbridge. In nearby Eldena, a 12th century cloister ruin is especially worth visiting. Hamburg is one of the most visited German cities. The city was first mentioned in the 9th century as ‘Hammaburg’. In the 12th century, Hamburg was granted port privileges by Emperor Friedrich I Barbarossa, and the city developed into an important trading center. This was further strengthened by membership in the Hanseatic League. 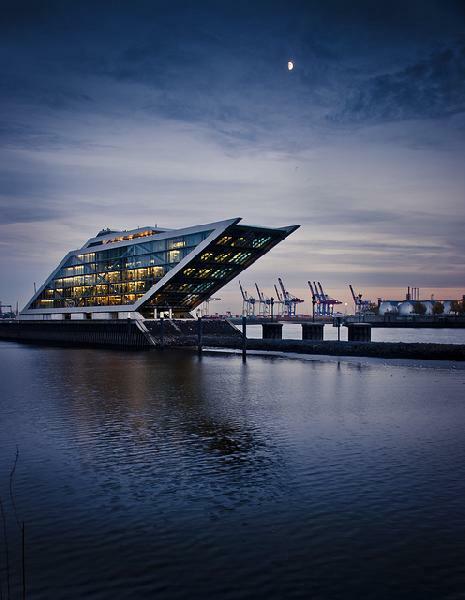 Today 1.8 million people live in the Hanseatic city – Hamburg is thereby the second largest German city after Berlin. The harbor is the city’s most impressive sight, and a harbor excursion should not be missed. On Sundays the fish market is regarded as a main attraction. The warehouse district impresses with up to seven-story tall brick buildings. The Old Elba Tunnel can be crossed not only by auto, but also with a bicycle. The most popular place to stroll in Hamburg is the Jungfernstieg path on the Inner Alster lake. Not far away, vacationers find the City Hall, one of the city’s most magnificent buildings. From the tower of the St. Michael’s Church, colloquially called “Michel,” there is a beautiful view of the harbor and the city. Hamburg is also known for its museums and exhibitions. These include the Kunsthalle, the Deichtorhallen, formerly levee gate halls and now a center for art and photography, or the Altona Museum for art and cultural history. Night owls will want to visit the St. Pauli amusement quarter. 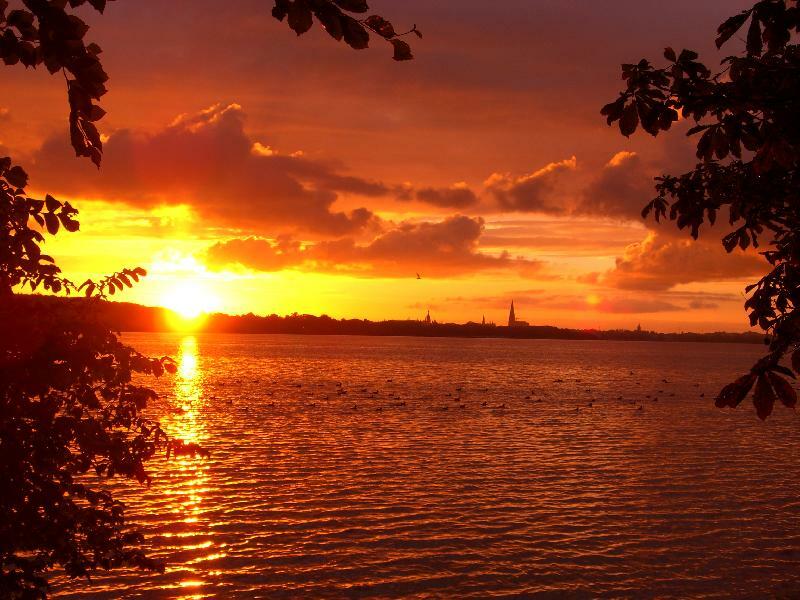 Whoever needs relaxation can explore the numerous Hamburg green spaces – these include, e.g., the banks of the Elbe or the Alster, the City Park or the park in the center of Hamburg, Planten un Blomen. The Lower Saxon metropolis of Hanover is an important industrial and trade fair center. The present area of the city stems from an old market settlement. The city is first mentioned in a document under the name of ‘Hanovere’ in the 12th century. With over half a million residents, Hanover is one of the 15 largest German cities. 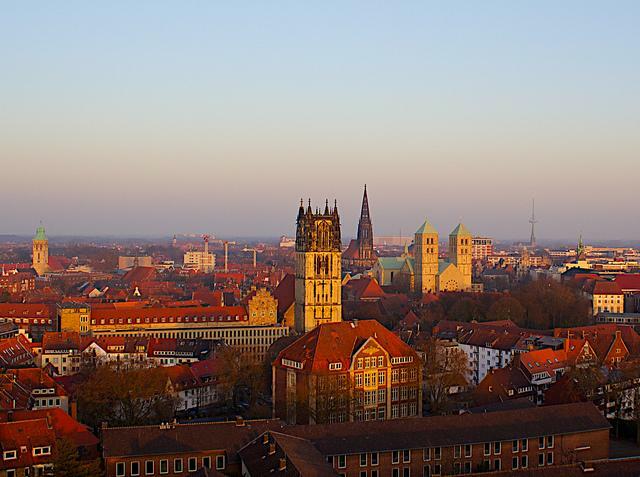 As the capital city of Lower Saxony, it is also the seat of the Lower Saxon state parliament. Hanover is important and known above all for the numerous trade fairs that are held in the great Exhibition Center. All the sights in the city center can be explored by following a “red thread.” The red guideline links 36 points in the city center. 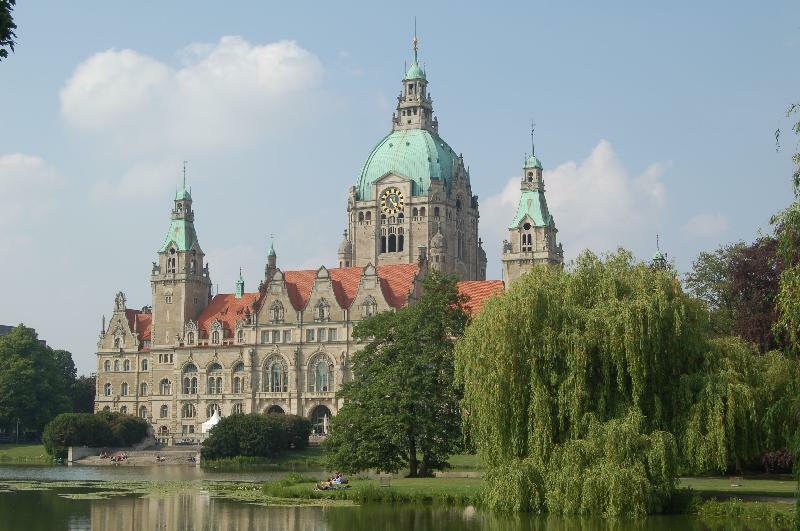 Regarded as the symbol of Hanover is the City Hall, built on beech-wood piles. Also worth seeing is the classical opera house. With the Lower Saxon State Museum, the Kestner Museum or the Sprengel Museum, Hanover offers a rich program for visitors. Spacious green areas like Masch Park, Lönspark or the Eilenriede City Forest are attractive for outings. As well, the Herrenhäuser Gardens or the Zoo, already founded in the 17th century, are worth a side-trip. Husum is the economic and cultural heart of North Frisia. The “grey city on the sea” acquired a name, especially as the birthplace of the author Theodor Storm. Husum’s city center is particularly idyllic. The narrow streets are lined with colorful gabled houses. An inland harbor dominates the cityscape. Fishing and shrimp boats (“Krabbenkutter”) drop anchor there. The City Hall and St. Mary’s Church dominate the view of the marketplace. Husum commemorates its most famous son in the Theodor Storm House, which is open to the public as a museum. Many different exhibitions take place in the baroque palace. The palace garden is a feast for the eyes, especially in the spring when the crocuses bloom. The Ostenfeld Farmhouse enjoys a great reputation as Germany’s oldest open-air museum. In the North Sea Museum of Husum, visitors learn many interesting facts about the culture and traditions of the North Sea coast. In the North Frisia Maritime Museum, one learns a lot about seafaring. Anyone who can enjoy the festive Christmas spirit in any season should pay a visit to the Husum Christmas House. This small fishing town in Northern Schleswig Holstein is located on the Schlei, a narrow inlet of the Baltic Sea, and is home to about 10,000 persons. The name Kappeln goes back to a chapel on the banks of the Schlei, built already in the 14th century. In the 1960s, a German naval base was established there, and with it came much construction work. Unfortunately, Kappeln lost this important income source in 2006 when the base closed. 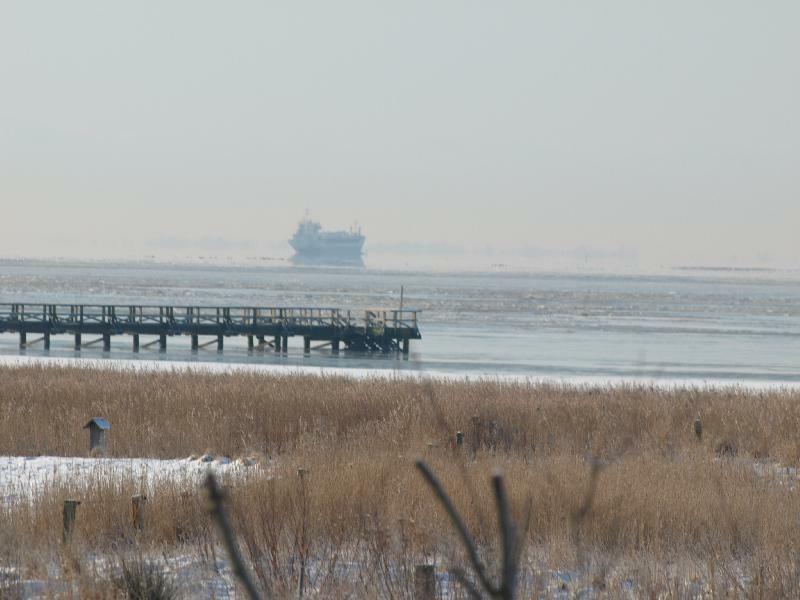 Today the town supports itself mainly from tourism, above all due to its special location in the eastern Schlei region. While staying in Kappeln, tourists should definitely visit the Schlei Museum. Since the town has been trying for years to establish itself as a cultural center, the Museum disposes of an extensive exhibit on town history. Another important sight is the late-baroque Church of St. Nicholas. The church stands on a hill and dominates the view of the town. The elongated brick building was completed in 1793.Kappeln also has some interesting features on the water. A bascule bridge links the banks of Angeln, the hilly countryside north of the Schlei, with Schwansen, a peninsula in the Baltic Sea, and is open for respectively one hour each day for boat traffic. Due to a favorable position on the sea, fishing plays a major role in Kappeln. In the 15th century, fishing with a Reuse, a specially shaped fishnet-basket, was widespread. Because of technical innovations, this method is no longer in use. In Kappeln, however, with the traditional construction of a herring fence, a last reminder of this old fishing tradition is preserved. Tourists can get more information on excursions and sights in the Dutch Windmill Amanda. With a height of 30 meters, it is the tallest windmill in Schleswig Holstein and thereby offers a beautiful view of Kappeln and its surroundings. The mill serves a new purpose today, as it houses the tourist information bureau and a wedding room. Kiel, the capital city of Schleswig-Holstein, is located at the southern end of Kiel Fjord. Regarded as the father of the city is the Holsteinian Count Adolf IV. Kiel received its town charter in 1242. Today Kiel Harbor is widely known, and sailing events on the Kiel Fjord captivate guests from the whole world. 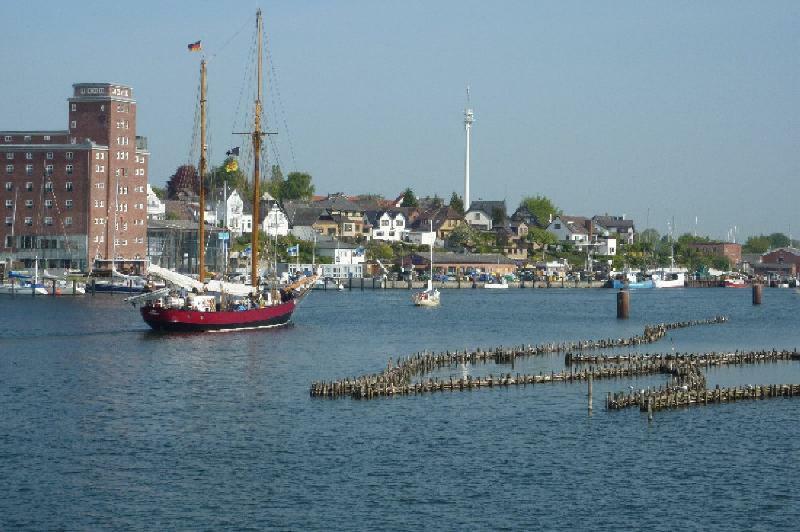 The best known event of this sort is Kiel Week, held every year in the summertime. Moreover, Kiel is an important base for the German Navy and due to its regular ferry service plays an important role for Scandinavian tourism. Kiel’s Old City is dominated by the Church of St. Nicholas. In the former fish market hall a maritime museum can be visited. The City Hall is located in Small Kiel, an arm of the Fjord enclosing the Old City. The Olympia Harbor is located in the Schilksee quarter of the city, and in 1972 was the venue of sailing events held in the frame of the Olympic Games. Today a seawater indoor swimming pool welcomes guests. Anyone interested in nature, flora and fauna, is in the right place in the Kiel Aquarium, the Botanical Garden and the Zoological Museum of Christian Albrecht University. The German marine is of great importance to Kiel and particular evident for every visitor to Laboe: You will here find a submarine boat from World War II as well as memorial, which serves as a memory for the fallen marines during World War I.
Leipzig enjoys interregional importance as a trade fair city. The city developed in the shadow of a castle complex built around 1015 and received its town charter in 1165. 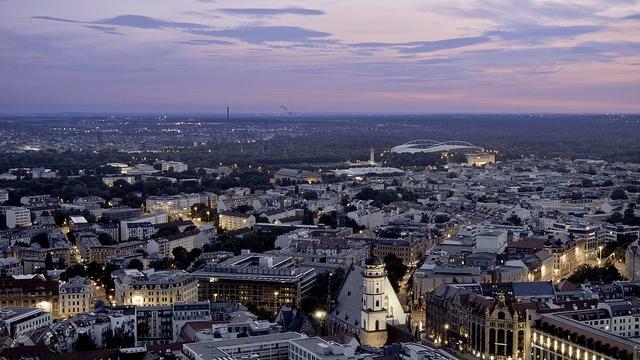 Over half a million people reside in Leipzig, and in the conurbation Leipzig-Halle more than a million. In the vicinity one finds, a by-product of the former brown coal mines, several artificial lakes, which as local recreational areas invite excursions. The center of Leipzig is the spacious marketplace. On the eastern side of the marketplace stands the Old City Hall. The seat of the city fathers is home to a Leipzig historical museum. Barthel’s Hof merits recognition as Leipzig’s oldest exhibition center. The Mädler Passage invites a shopping trip and a brief visit to “Auerbach’s Keller” (Leipzig’s oldest restaurant, featured in Goethe’s Faust). In the St. Thomas Church, one can attend concerts by the world-famous St. Thomas Choir. The most impressive structure in Leipzig is the Monument to the Battle of the Nations. Anyone who climbs the 500 steps to the platform can enjoy a magnificent view of Leipzig. Not far away is the Belantis Amusement Park, where roller coasters, funfair rides, shows and several theme worlds attract fun-seekers. 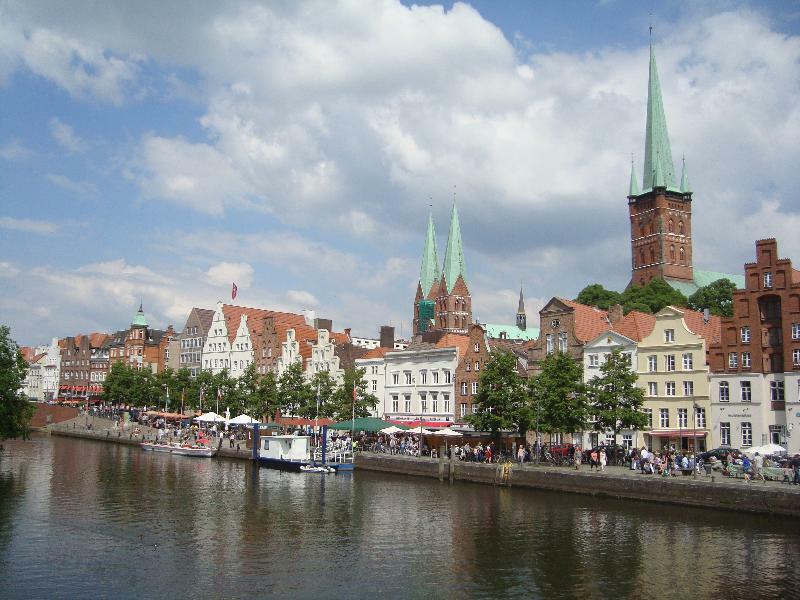 In Lübeck visitors can stay in one of the most frequently visited cities in Northern Germany. The city was founded in 1143 and already in 1226 received “Imperial Immediacy.” The Hanseatic city of over 200,000 residents lies on the Trave River, which flows into the Baltic Sea in the Lübeck district of Travemünde and thus makes possible direct access to the Sea. The Holsten Gate is Lübeck’s most widely known symbol and houses a museum of city history. The City Hall dominates the marketplace. St. Mary’s Church represents a classic example of brick Gothic. Lübeck is closely linked with the famous author Thomas Mann. Vacationers can see the façade of the Buddenbrook House, which once belonged to the Mann family. The Lübeck Cathedral was built by Heinrich the Lion. Marzipan lovers should not miss a visit to Café Niederegger. Historical ships like the Lisa von Lübeck or the Passat can be visited. The Hospital of the Holy Spirit, built in the 13th century, was modeled on the Santo Spirito in Rome. The old salt and Hanseatic city of Lüneburg grew up around a castle complex built in 951. Due to the city’s salt deposits, used to pickle fish from the North and Baltic Seas, Lüneburg was admitted to the Hanseatic League and became an important trading center in North Germany. In the 16th century, Lüneburg was one of the richest North German cities. Today the university plays an important role in the city of over 70,000 residents. The stately domestic architecture of the Old Town testifies to its former prosperity. On the marketplace stands the City Hall, adorned with statuary. The richly furnished interior rooms can be viewed during guided tours. 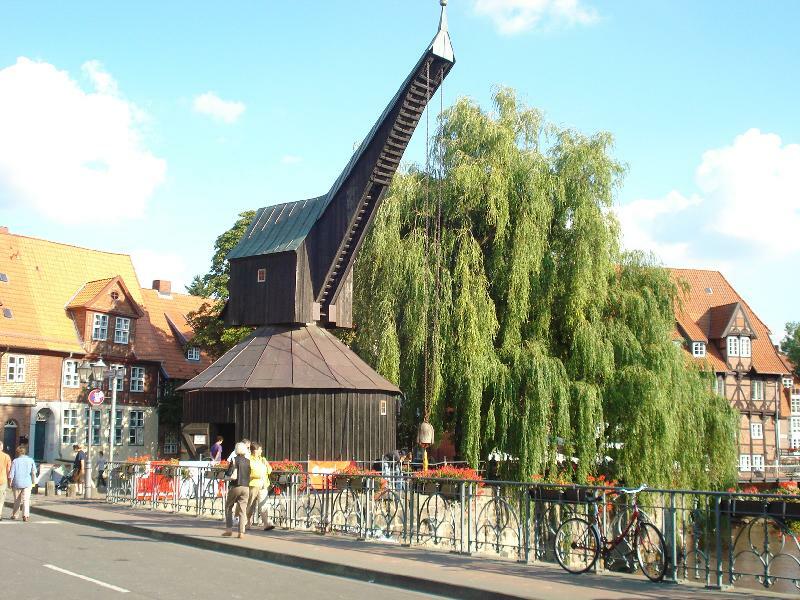 The “Old Crane” is Lüneburg’s symbol and in the Middle Ages served for loading salt. The German Salt Museum stands on the grounds of a former salt works. The Lüneburg Salt-Thermal Bath is the center of the health resort. The Lüne Monastery was founded in the 12th century and is open to tourists. The three main churches, St. John’s, St. Michael’s and St. Nicholas’, were built in the brick Gothic style between the 13th and 15th centuries. We find nature at its best in Lüneburg Heath Nature Park. Munich, the capital city of Bavaria, was founded in 1158 by Heinrich the Lion, and shortly thereafter became the Residence of the royal Wittelsbach family. Today, Bavarian informality and good cheer prevail on the Isar river, especially when the annual Oktoberfest is held and attracts visitors from around the world. With over 1.3 million residents, Munich is the third-largest city in Germany after Berlin and Hamburg. The living heart of the Old City beats on the crowded Marienplatz town square. At the New City Hall, the famous clock figures and chimes attract tourists each day at noon. Bavarian delicacies and culinary treats from around the world change hands in the nearby food market. Anyone who visits Munich should also try the famous Hofbräuhaus beer hall and take a stroll through the English Garden, built in the 18th century according to the pattern of English gardens. The Hellabrunn Zoological Garden thrills old and young. In the Olympic Park, built for the 1972 Olympic Games, there are various sport facilities for athletic events. Art lovers find world-renowned old masters in the Alte Pinakothek museum. 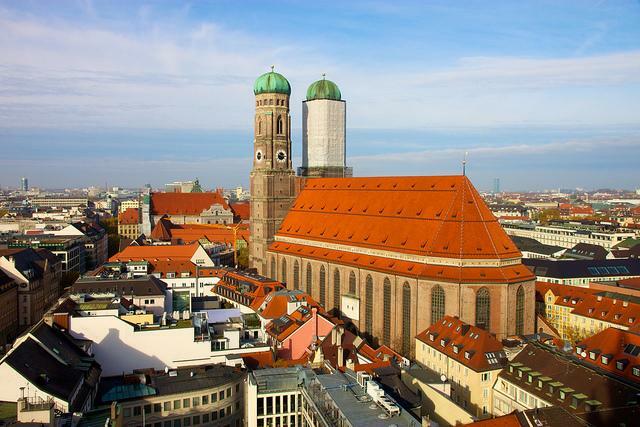 Munich is also known for the two towers of the Church of Our Lady, the Gothic cathedral of the archdiocese of Munich. Technology fans get their money’s worth in the German Museum and in the BMW Museum, which tells the history of the famous automobile company. In the Bavarian Film Studio, original film sets can be seen and various movie theaters and shows are offered. The Cathedral and University City of Münster forms the center of the Münster region and is located in Northwestern North Rhine-Westphalia. Because of its numerous churches, the city on the Dortmund-Ems Canal is called the “Lower German Rome.” The diocese of Münster was founded in the late 8th century by Charlemagne. Until 1803 Münster was the center of an ecclesiastical principality. In the city center the Principal Market, surrounded by gabled buildings, is a popular place to visit. There stands the Gothic City Hall, where in the mid-17th century a partial settlement of the Thirty Years’ War was signed between Spain and the Netherlands. Münster is worth seeing in every season. St. Paul’s Cathedral is among the largest church buildings in Westphalia and is simultaneously the city’s symbol. The Westphalia State Museum informs visitors on the art and cultural history of the region. Art lovers will get their money’s worth in the Picasso Museum in the Old City. Here over 800 lithographs document the artist’s works. Also an attention-getter is Münster Palace, which today serves as the University’s main building. As well the Überwasser Church should not be skipped when visiting the city. Inside one finds numerous sacral art treasures. And if one wants to take an excursion suitable for persons of all ages, the Allwetterzoo houses a great variety of native and exotic animals. The charming Franconian city of Nuremberg is located in the Middle Franconian Basin. It first appears in the records in 1050. Today, the city on the Pegnitz River unites many different qualities and is popularly known as the city of the Master Singers (“Meistersingerstadt”) or Dürer’s city. With 500,000 residents, Nuremberg is the second largest city in Bavaria. The “Schöner Brunnen“ (Beautiful Fountain) at the Main Marketplace is eye-catching. Every day at noon one can watch the moving figures (“Männleinlaufen”) of the mechanical clock on the Church of Our Lady. Nuremberg Castle towers above the roofs of the Old Town. The interior of the Castle can be visited. Below the Castle, at the Tiergärtner Gate, the Albrecht Dürer House was reconstructed and made accessible to the public as a museum. With the German National Museum, Nuremberg possesses the largest art and cultural historical collection in Germany. Other interesting museums are the New Museum of Nuremberg, the Industrial Culture Museum, the Toy Museum and the interactive hands-on “Tower of the Senses” Museum. The NS Party Rally Grounds (“Reichsparteigelände”) Documentary Center features exhibits on the history of Nuremberg in the Third Reich. Plön is a small county seat in the state of Schleswig Holstein. 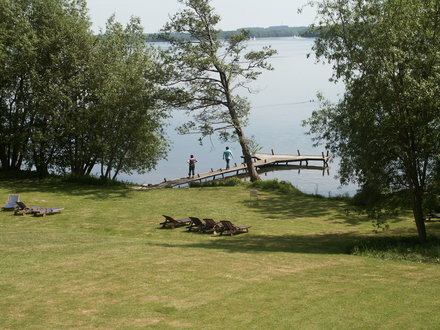 The unique natural landscape stands out because of Great Plön Lake and the hilly lake scenery. The city possesses a surface area of 36 km², of which merely 7.8 km² are dry land. The remaining 29 km² are covered by eleven lakes. The largest sight in Plön is the Castle. Not only is it the largest, it is the only castle on a hill in Schleswig Holstein. Built during the Thirty Years War, over the centuries it has served various purposes. The original Residence of the Dukes of Schleswig Holstein, Plön belongs today to the Fielmann Academy and serves as a training and assessment center. For the last few years, certain parts of the castle have again been open to the public. Anyone who wants to enjoy a view of the town should visit the Parnassus Tower, located on a moraine hill of the same name. The lattice tower has a viewing platform with a height of 20 meters. Also especially impressive is the former water tower. Erected east of the city in 1913, it has become a luxurious residential building. On the shore promenade of Great Plön Lake there is a planetary path. This reproduces the solar system on a scale of 2,000,000,000:1 and is thereby one of Schleswig Holstein’s most fascinating sights. The city of Potsdam lies several kilometers southwest of Berlin, and is the state capital of Brandenburg. 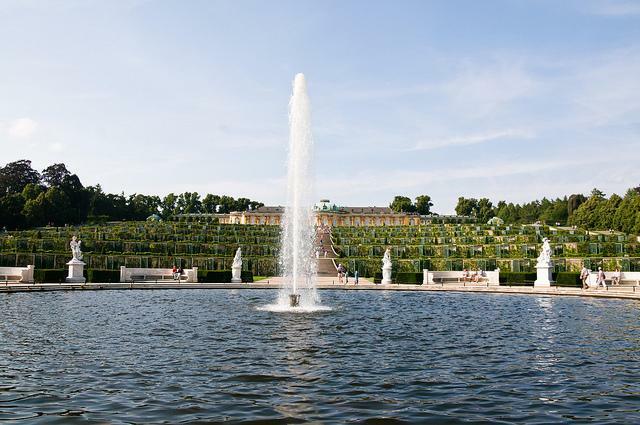 Thanks to world-famous palaces and gardens, which served Prussian kings and German emperors as summer residences, Potsdam is also called the “Versailles of the North.” Friedrich II had the Park and Sanssouci Palace built in the 18th century, and today they are popular tourist magnets. The complex of royal gardens and palaces is unique in Germany and the most extensive in Potsdam. In Park Sanssouci, visitors can stroll to the New Palace, which Friedrich the Great built for representational purposes. Potsdam’s historical cityscape was heavily damaged in the war, but has been rebuilt to evoke its former glory. A guided city tour can be begun at the Brandenburg Gate. It leads past the Peter-Paul Church in the Dutch Quarter, That is lined with picturesque gabled houses. At the Old Market, the St. Nicholas Church catches the eye. Also a jewel of Potsdam is Cecilienhof Palace, which seems more like a stately English manor. If one walks a bit farther, one reaches Glienick Bridge, which separates Potsdam from Berlin and served as the venue for the exchange of agents during the Cold War. Fans of film and television should not miss the nearby Babelsberg Film Park and Film Studios, which produces many popular movies and TV shows. Rostock was founded around 1200 as a merchant settlement. Today the city has 250,000 residents and is situated on the Warnow River estuary of the Baltic Sea. 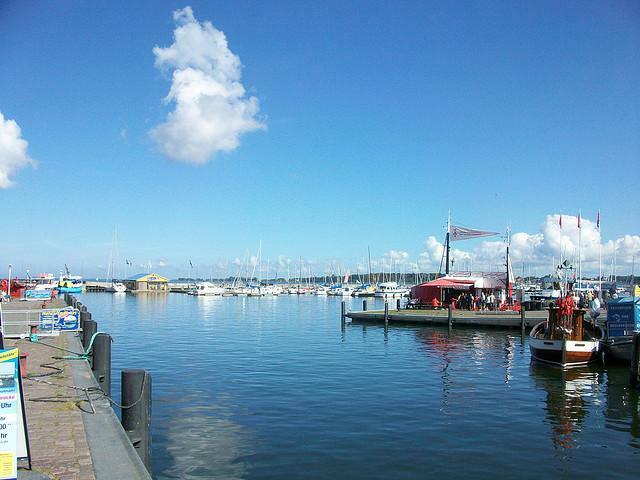 The harbor is Rostock’s door to the world, and a tour is a must. 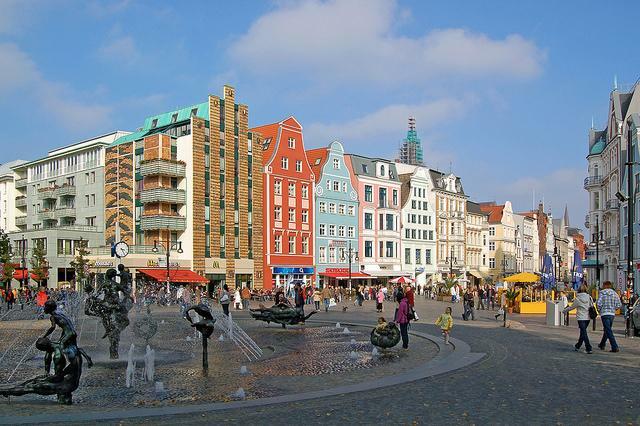 A popular tourist attraction in the Rostock district of Warnemünde is a seaside resort town. It attracts thousands of tourists with its harbor, beautiful Baltic Sea Promenade, white sand beach with gentle dunes, lighthouse and extensive offering of outdoor pursuits and gastronomy, above all in the summertime. The New Market occupies the center of the Old Town. Rostock’s City Hall was created by combining three medieval gabled buildings. An astronomical clock can be seen in St. Mary’s Church. Other fascinating churches are St. Peter’s Church and the St. Nicholas Church. The pedestrian zone along Kröpeliner Street invites a shopping stroll. 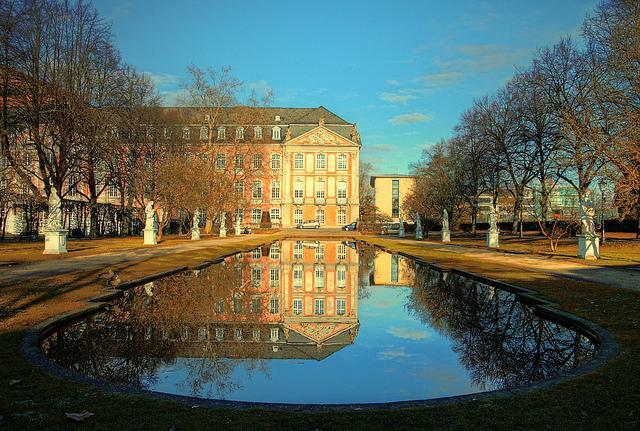 The University of Rostock, founded in 1419, occupies an important historical position due to its long tradition. The Museum of Cultural History and the Kunsthalle exhibit paintings and other cultural works. The Botanical Garden is a popular leisure center. With five million residents, the Ruhr Region has the largest German concentration of population. In the twentieth century, there was a shift in the region from a ‘coal scuttle’ to a diversified experience landscape. The sooty chimneys of the steel mills have given way to an incomparable cultural landscape. Numerous industrial monuments and museums keep alive the memory of the Ruhr Region’s history. In Bochum, visitors to the German Mining Museum can experience the former mining technology in operation. The Ruhr Region has been widely known for years for the popular musical “Starlight Express,” performed in a theater built especially for this purpose in Bochum. Exciting cultural and athletic events are also on the program of the Westphalian halls of Dortmund. In addition, vacationers can admire a priceless carved altar in St. Peter’s Church and stroll through Romberg Park. Bottrop does justice to its reputation as a green city in the Ruhr Region. Culture enthusiasts will definitely have to visit the “Quadrat” Museum Center. One can enjoy a beautiful view of Bottrop from the “Tetraeder” outlook, the symbol of the city. Large and small cinema enthusiasts will enjoy the Movie Park in Bottrop Kirchhellen. The steel industry once held sway in Duisburg. Today the Rhine-Ruhr Harbor dominates the surroundings. 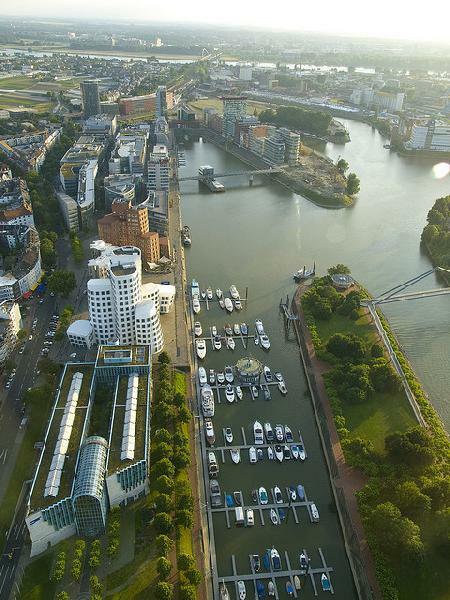 As well, the city of Essen is another center of attraction in the Ruhr Region. The city boasts of brilliantly designed buildings by the renowned Finnish architect Alvar Aalto. Schwerin, the state capital of Mecklenburg-Western Pomerania, can look back on an eventful history as the former Residence of the Mecklenburg dukes. The settlement was apparently founded between 600 and 1000 BC. In Slavic times a castle was built there, around which settlements grew up. Schwerin Castle was later constructed. With fewer than 100,000 residents, Schwerin is Germany’s smallest state capital. The most famous sight and the symbol of Schwerin is the Castle. This structure, with its many towers and gables, evokes an almost fairytale atmosphere. Dotted with numerous sculptures, the castle gardens were laid out in the baroque style. Lavishly restored domestic architecture can be seen in the Schwerin marketplace. Schwerin Cathedral is one of the most important North German brick Gothic buildings. The Pfaffenteich offers inviting possibilities for a romantic stroll. In the Old Garden, the State Museum offers a valuable art collection. From the television tower, visitors enjoy a wonderful view of Schwerin and its surroundings. In the Schwerin Zoo, one can see about 120 different species of animals gathered from around the world. The Schleswig-Holstein House is a cultural center offering frequent exhibitions and events. Stralsund is the fourth largest city in Mecklenburg-Western Pomerania. The city on the Strelasund Crossing offers itself as a jumping-off point for visiting the island of Rügen. Stralsund arose from a trading settlement and was an early member of the Hanseatic League. The Old City is located on an island between Strelasund Sound and Knieperteich lake. Vacationers will find magnificent old buildings from many epochs. In Mönch Street picturesque gabled houses have been preserved. Medieval buildings, the St. Nicholas Church and the City Hall are grouped around the Old Market. Relics of the former city fortifications survive on the Knieperwall. In the Museum for Oceanography in the former St. Catherine’s Monastery, the Baltic Sea biotope is vividly documented. The Ozeaneum gives a comprehensive overview of the life of various different sea dwellers. The Wulflamhaus, erected in the 14th century, is Stralsund’s best known town house. On the harbor excursion boats regularly cast off for a visit to Hiddensee Island. In the Culture Historical Museum, visitors learn interesting details of Stralsund’s history. 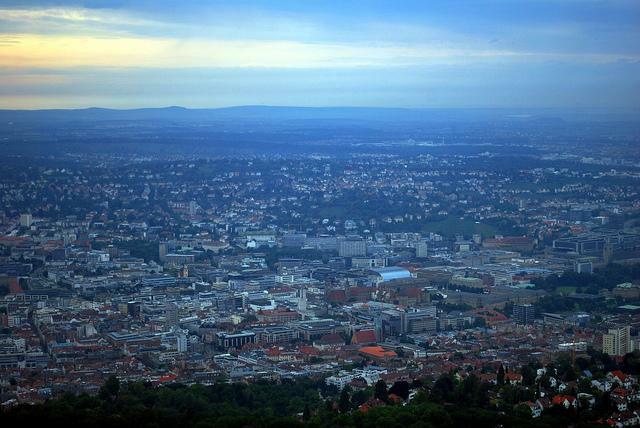 Stuttgart, capital city of Baden-Württemberg, excites tourists with its romantic location. The city is surrounded by hills covered with vineyards, orchards and forests. 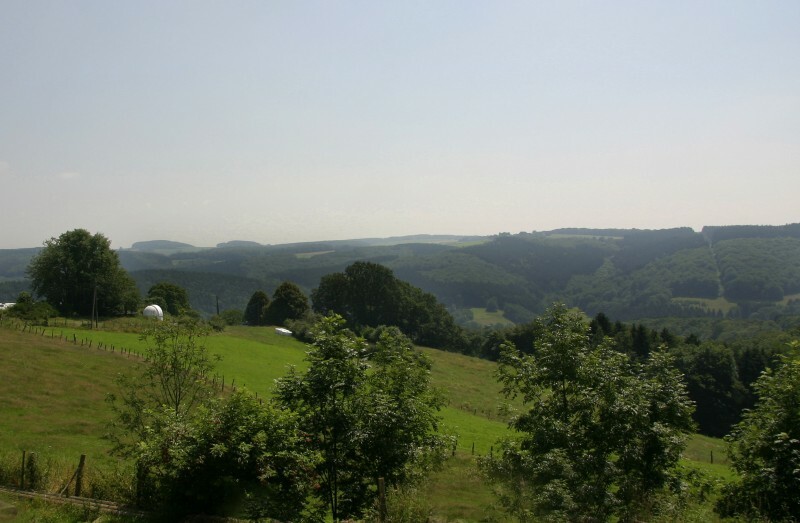 Due to its hilly terrain, it is rich in stairways and terraces, locally called Stäffele. In the 13th century, the city grew up in the shadow of a moated castle and became an important market town. Palace Square keeps alive the memory of the former Residence city. The palace square is dominated by the New Palace, an impressive fountain, and the Jubilee Column. The modern state Parliament building is located nearby. In the Old Castle, dating from the 13th century, one can visit the Württemberg State Museum, offering a history of Swabian art and culture from the Stone Age to the present. In the Palace Garden, a path leads to the Carl Zeiss Planetarium. The New State Gallery sets accents for Stuttgart architecture. This museum was built in the postmodern style. The State Theater and Art Museum offer many cultural experiences. The Wilhelma Zoological-Botanical Garden is a tourist magnet. In the Mercedes-Benz and Porsche Museums, along with the Gottlieb Daimler Memorial, attention centers on the famous German automobile manufacturers. The Television Tower provides a breathtaking view of Stuttgart and its surrounding countryside. In the art nouveau Market Hall, goods from around the world are offered for sale. The historic city of Trier is located on the German-Luxembourg border and is framed by the Hunsrück and Eifel mountains. Stately Roman buildings and numerous churches point to the long history of the oldest German city. The settlement was founded in the 16th century BC by Emperor Augustus on the site of a Celtic settlement. Today it has about 100,000 residents. Trier’s most famous landmark is the Porta Nigra. This monumental structure formed part of the Roman fortifications and was erected on the northern edge of the Old City. The center of the Old City is the Main Market. Equally worth seeing in Trier are the Cathedral, one of the oldest German churches, the Imperial Thermal Baths, the Amphitheater and the Rhenish State Museum. The Karl-Marx House, birthplace of the famous socialist, describes his life and work. The ca. 2000-year-old Römerbrücke is considered Germany’s oldest bridge. Other interesting sights are the Constantine Basilica (with one of the two largest surviving Roman interiors), the Cathedral of Our Lady and the Monaise Palace, erected in the 18th century. Wismar is one of the most popular travel destinations on the Mecklenburg Baltic Sea coast. 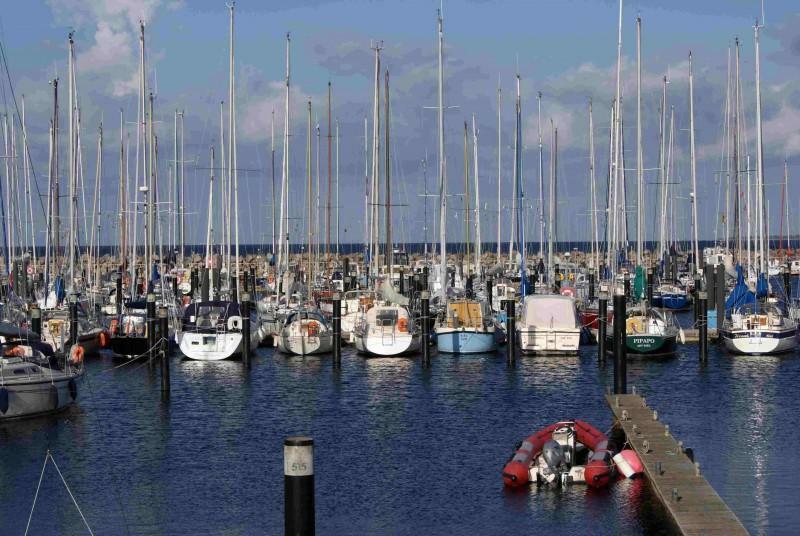 Located on Wismar Bay near Poel Island, Wismar has about 45,000 residents. The city was probably founded in the 13th century by Prince Heinrich Borwin I, and a short time later was accepted into the Hanseatic League. Since 2002 the Old City has been a UNESCO World Cultural Heritage site. In the city center the almost square marketplace catches the eye. Here we find numerous historical buildings, among them the “Old Swede,” a gabled house built in the 14th century. The focal point of the square is the beautiful Wasserkunst. 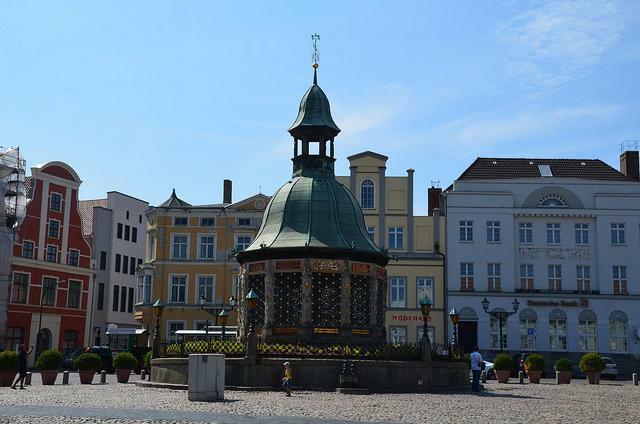 This pavilion in the style of Dutch Renaissance is Wismar's trademark. Under it's curved copper hood the waterworks are concealed. At one time 200 houses in Wismar were provided with drinking water from there. St. Mary’s Church was destroyed in 1945 and is maintained as a ruin. St. George’s Church is the largest Gothic church of the city. In the Schabbelhaus, the Museum of City History can be visited. In the Wismar Old Harbor a replica of an historical sailing ship lies at anchor, and freshly-caught fish are on sale. Excursion boats cast off for nearby Poel Island. In the flagship Karstadt store, today the smallest branch store of the famous chain, the success story of the store’s founder, Rudolph Karstadt, began in the 19th century. “Tittentasterstraße” is a quaint alley: It got its name because it is so narrow that two people cannot squeeze by without touching.